A Hillsboro man was sentenced to 180 days in jail after appearing on a probation violation Monday in Hillsboro Municipal Court. The Times-Gazette previously reported that Charles Davis, 24, was placed on a $50,000 bond last month. He was taken into custody after reportedly failing a drug screen at the probation department. Court records show that he was convicted of first-degree misdemeanor driving on a suspension in March. At that time, a 180-day jail sentence was suspended. Davis was fined $100, with an additional $400 suspended. Davis was also placed on reporting probation for two years and ordered to perform 50 hours of community service. 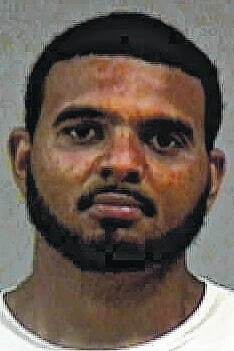 A 30-day jail sentence was imposed for Curtis Tolliver, 31, Hillsboro. Records show that he has two past convictions for failure to reinstate, an unclassified misdemeanor. In one case, he pled no contest and in the other he pled guilty, records add. He also previously pled no contest and was found guilty of a seatbelt violation. According to records, Tolliver was found guilty of a probation violation last year, and a 30-day jail sentence was scheduled to be reviewed in April. At that time, a warrant was issued for Tolliver’s arrest after he did not show up for that hearing. He appeared on both that warrant Monday and a new charge. Records show that he pled no contest and was found guilty of first-degree misdemeanor driving on suspension. A 180-day jail sentence was supended. Tolliver must pay $100 of a $1,000 fine. He was placed on reporting probation for two years. He also pled no contest and was found guilty of speeding, records add. The previously scheduled 30-day jail sentence was imposed. It began on Sunday when he was arrested, records add. Also, Tolliver was found guilty of a probation violation on a criminal damaging conviction from last February. A 45-day jail sentence is set to be reviewed in October. Also appearing on a bench warrant was Rebeka Fields-Webb, 27, Hillsboro. Records show that Fields-Webb pled guilty to first-degree misdemeanor charges of theft and contributing to the unruliness or delinquency of a minor last November. At that time, all but 30 days of a 90-day jail sentence were suspended on the theft conviction. A 180-day jail sentence was suspended on the other case. A warrant was issued for her arrest in April after she failed to appear for a review hearing, records show. In other cases, a jail sentence was scheduled for Levi Minney, 21, Chillicothe. Records show that Minney pled guilty to first-degree misdemeanor driving on a 12-point license suspension. One hundred and seventy days of a 180-day jail sentence were suspended. The remaining 10 days are scheduled for December. Records add that Minney’s license was suspended for six months. He must pay $250 of a $1,000 fine. Also on Monday, Jeffrey Williamson, 28, Latham, appeared on a bench warrant that was issued over a year ago. Records show that Williamson is charged with first-degree misdemeanor receiving stolen property and second-degree misdemeanor criminal damaging. The charges were first filed with the municipal court in August 2013, records add. When Williamson appeared for a pretrial in October of that year, he was ordered to report for a drug screen at the probation department. Records show that the probation department later filed an affidavit that same month, and that a warrant was issued for Williamson’s arrest the next day, on Oct. 29. Williamson appeared on that warrant Monday. His bond was set at $2,500, according to records. He is ordered to have no contact with allegedly involved parties and must also observe a curfew. A pretrial is set for July 10. A $5,000 bond was set for Christopher Burns, 31, Hillsboro. If he posts that bond, he will be on electronic monitoring house arrest and reporting probation, according to records. He is also prohibited from driving. Records show that Burns appeared in the municipal court on Monday for probation violations on past convictions for: failing to drive in marked lanes and improper starting, both third-degree misdemeanors; texting while driving, a minor misdemeanor; and not having a motorcycle endorsement, an unclassified misdemeanor. Records add that Burns pled guilty to those charges during their respective arraignments. On Monday, he also pled not guilty to an unclassified misdemeanor for driving on a suspension. His bond was set at his own recognizance on that charge. A pretrial is set for July 24. According to records, Burns’ $5,000 bond is set on his marked lanes case. A $5,000 surety or $500 cash warrant was issued for Heather Penwell, 37, Peebles, after she failed to appear for a show cause hearing. According to records, she was convicted of first-degree misdemeanor operating a vehicle under the influence (OVI) in March.